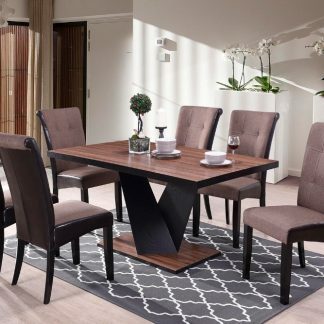 View cart “Anisha Dining Set” has been added to your cart. 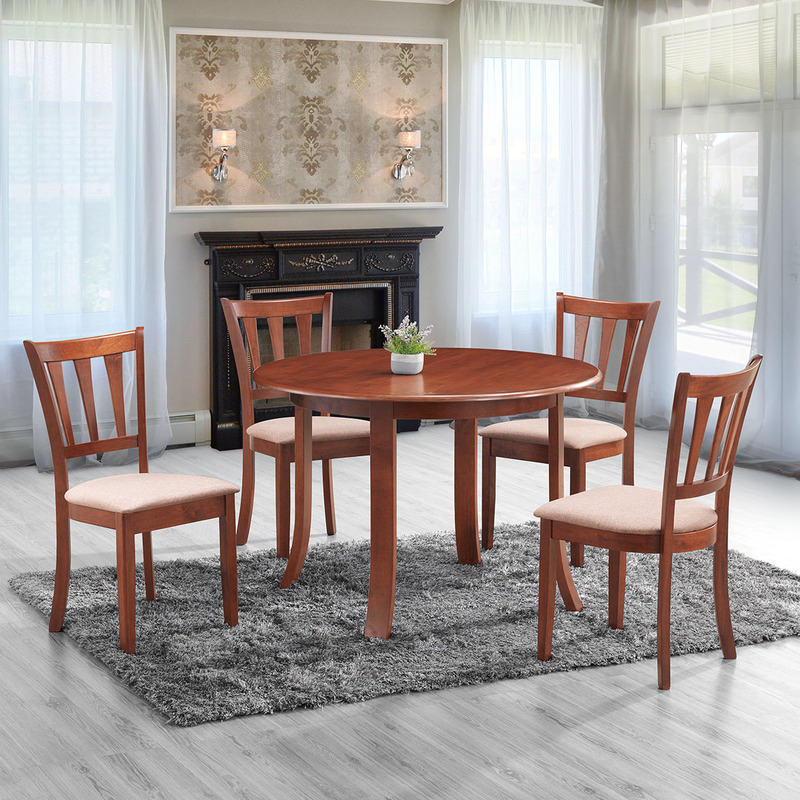 Complete your dining room or kitchen in classic style with this lovely 5-piece set. 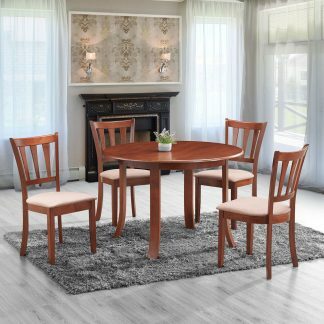 Perfect for any breakfast nook or decking out a dining room, this piece includes a round table and four classic side chairs with upholstered seats. 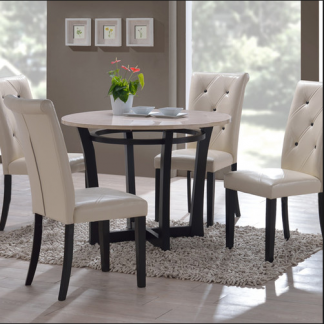 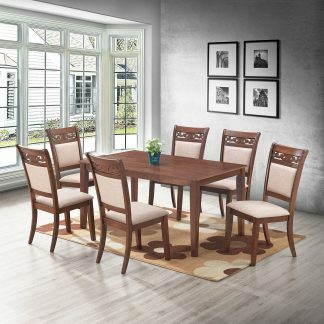 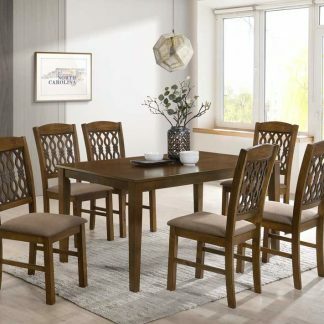 Showcasing a wood finish, and simple silhouette, this lovely dining set is perfect for any setting.